I really can't believe I'm saying this but I am totally ready for Fall. 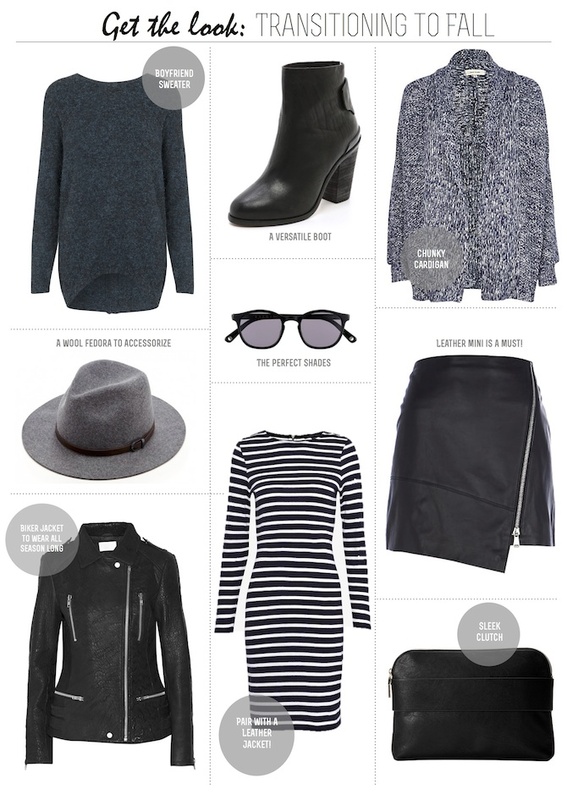 The hat & the leather skirt are so stylish pieces! I've been loving how leather skirts look with knitwear recently. I think I'm going to have to pick one up soon! Great choices all round, the biker jacket is perfect. I so can't wait for fall! I am obsessed with that look on the top right!! So pretty! Fall is my favorite season so I can believe that I'm saying this…I can't wait for fall! That chunky card looks so cozy, and that fedora would look fabulous on me…ha!